Two Las Vegas hotels have been known as the MGM Grand. 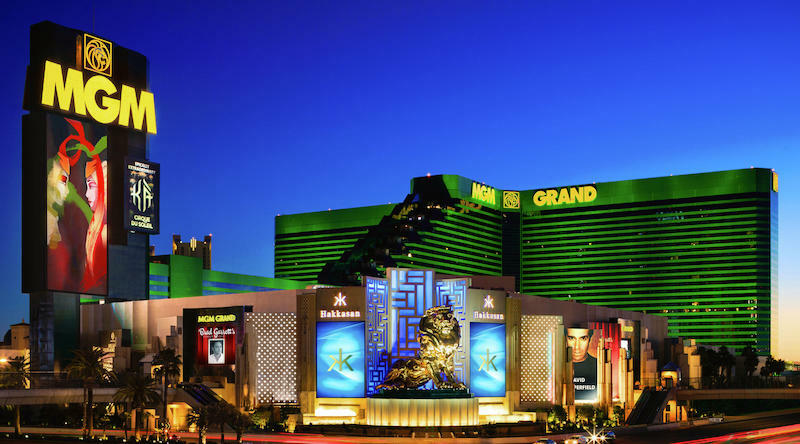 The MGM Grand Hotel and Casino (now Bally’s Las Vegas) was opened in December 1973. It was damaged in a huge fire in November 1980 which led to higher safety standards for fire protection across Las Vegas. 85 lives were lost, many due to smoke inhalation as the hotel towers acted as chimneys to fill all floors with poisonous smoke and fumes from the burning decorative plastics. The showroom was damaged by smoke, but the Colortran Channel Track 2 lighting console survived. The hotel reopened 8 months after the fire, and after spending $50 million on upgraded fire protection equipment including sprinklers, a detection system, and a smoke removal ventilation system. The hotel was sold to Bally’s in 1986 and rebranded. A new MGM Grand was opened in 1993 (see below). The MGM Grand housed two entertainment venues: the Ziegfeld Stage and the Celebrity Room. The Channel Track 2 console, from the MGM Grand, had a Liberace show disk in it. Las Vegas Hilton from 1972. $300,000 weekly salary. Still there in 1978 and 1980. MGM Grand – photo of Mr Showmanship at the honky tonk piano during a 1983 show at the MGM Grand. Caesars Palace from August 1986 for 2 weeks. Final Vegas shows. Built in 1993 on the site of the former Marina Hotel and Casino. The Marina building still exists, as the west wing of the MGM Grand. The rest of the hotel was built around it.